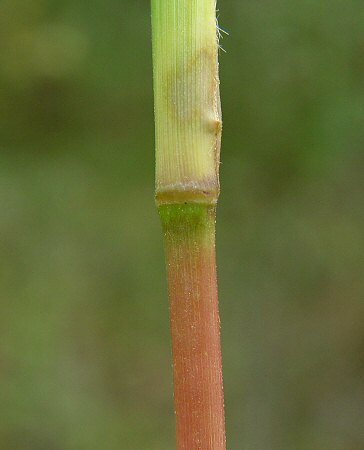 ...front view showing bulbous nature. 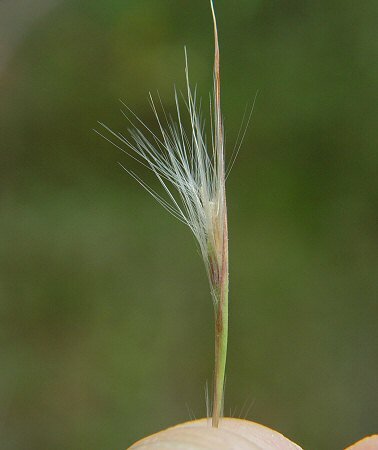 Habitat - Roadsides, fields, open woods, bogs, savannahs. 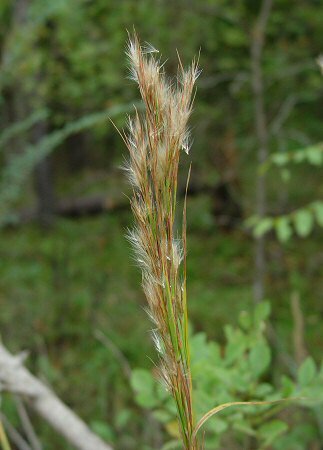 Other information - This species can be found mainly in the southern half of Alabama but is also found in a few northern counties. 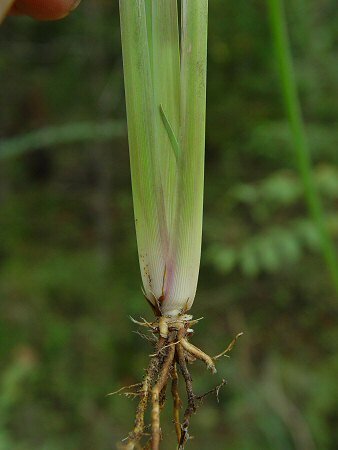 The plant can be identified by its big, clustered inflorescence and tall culms. 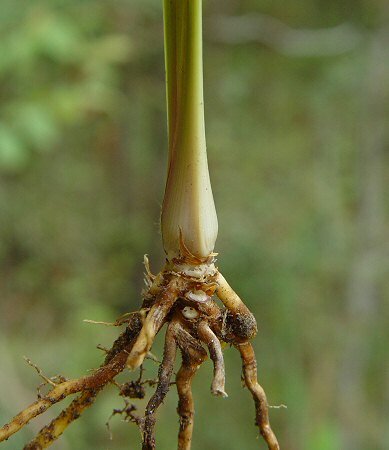 The plant frequently reaches more than 1.5m tall. 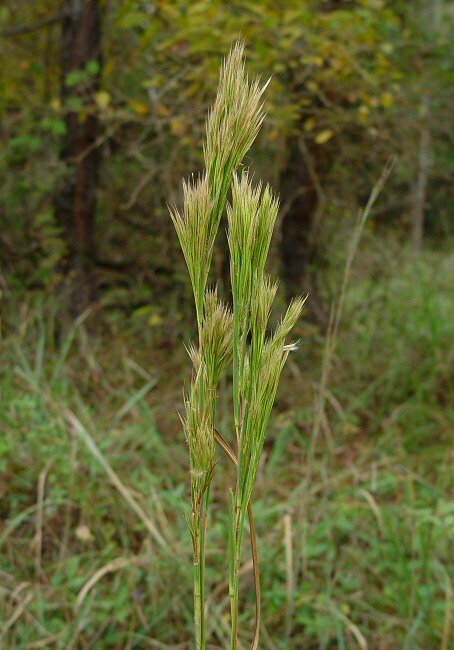 Three varieties for this species occur in Alabama and the are differentiated by the shape of the inflorescence and the roughness of the glumes. I won't go into such details here. 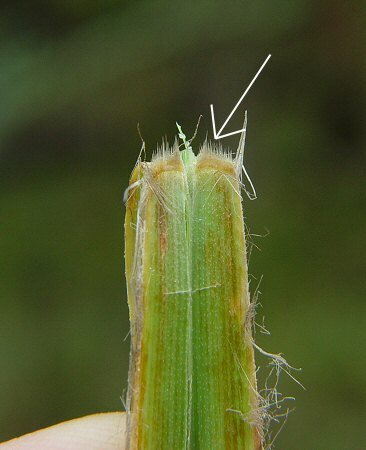 The genus name Andropogon derives from the Greek "andr(o)" meaning "man" and "pogo(n)" meaning "beard" referring to the white or grayish awns of the glumes and lemmas. The species epithet glomeratus derives from the Latin "glom(er)(us)" meaning "a ball, a ball of yarn" referring to the clusters of flowers. Photographs taken off Lee Rd 10, Lee County, AL., 10-9-04.